There are many aspects to designing a telephone system. Some applications require nothing but functionality. Others emphasize flexibility. Still, others will focus on productivity. Regardless of your needs, AirBlaster Networks can design a system that is a perfect match for you. 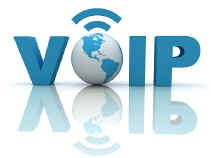 For those needing the ultimate voice network, we can design a bundled telephone service package that includes local dial tone, long distance, voice mail, cell phone and integrated messaging.